It's Saturday and that means time for 9 questions and 9 answers. 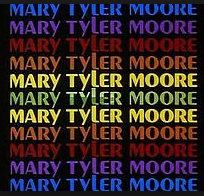 1) This week's song is the theme from The Mary Tyler Moore Show, a sitcom that originally aired from 1970 to 1977. Were you a fan? Yes and I know every word of this song. This was back in the day of good clean sitcoms. There's no such thing today. Such a shame! 2) The song tells us that Mary Richards can turn the world on with her smile. Yet the real-life Mary Tyler Moore said she was uncomfortable with her "wide mouth." If you could improve on one of your facial features, which would you choose? 3) We also hear that Mary can "take a nothing day and suddenly make it all seem worthwhile." What do you think makes a day "a nothing day?" Oh, I rarely have "a nothing day" but for me a nothing day would be not really getting dressed, doing nothing, seeing no one or interacting with no one. Unless I'm sick, I'm dressed and accessorized everyday, I do some kind of housework, run errands and generally talk with a friend or two and hopefully in all that I've done something with eternal value. 4) Mary works in the newsroom at WJM. Her desk is neat as a pin. Are you neat? Or do you lean to the sloppy side? Oh, goodness, I'm a "neat freak." I operate by the premise that everything has a place and everything should be in it's place. I mean, life is (for me anyway) so much better and so much easier that way. 5) Mary's best friend, Rhoda, worked as a window dresser at Hempel's department store. What department store did you most recently shop at? What did you buy? This past week my DIL and my two Granddaughters went shopping for some back to school clothes for the oldest one. Our last stop was to Dillard's where we found some cute things for her at some great sale prices. Trouble is, just about everything she tries on looks great on her, but she definitely has her opinion and is not shy about saying whether she likes it or not. 6) Mary Richards lived in Minneapolis. What city is nearest to where you are right now? Well, Monroe is where I go for any big shopping that I may have but if you mean a bigger city, then that would be Shreveport (about 2 hours from us). 7) Originally the part of Mary Richards was written as a divorcee, but in 1970, there were no TV shows that centered around a divorced woman. Think about the women in your life. Are most of them married, divorced, single or widowed? Most of the women in my life are married but I do have a few that are widowed. 8) The MTM production company logo featured a mewing kitten. The cat was found in a Minneapolis shelter, and, after her sequence was shot, she was adopted by a crew member who named her Mimsie. What's the name of the last cat -- or dog or hamster or rabbit -- that you petted? I cannot even think of the last cat or dog that I petted. It would most likely be one of the Rag Dog cats owned by a dear friend of mine. I'm not much on cats, dogs or other furry creatures but if I were, I would own a Goldendoodle, hands down, they make the best pets and hardly even know they aren't human. 9) Random question -- Would you rather have a job that kept you seated on your fanny or standing on your feet? Well, I would prefer to have a mixture of about 70% standing and moving around and 30% sitting. Not even sure if there is such a job but I have to move. NOTE: My birthday is tomorrow and I have been celebrating and will continue celebrating the next few days. We'll be headed to Oklahoma tomorrow for part of my celebration and I'll have a "Birthday Recap" post as soon as I can upon our return. See you then!!! We have our neat freak characteristics in common for sure. Hope you have a great birthday week with your girl and your trip. Loved that show and still catch some reruns here and there, good clean sitcom and VERY funny! Enjoy your Birthday my friend and your trip! HUGS! Happy birthday wishes to you and enjoy your trip. I like your hope for each day to have some eternal value. I hope the same thing and sometimes at the end of the day I wonder whether that happened. Goldendoodles are the cutest! I once shared my home w/a ragdoll. I named him Billy. What a gentle giant he was! May your birthday be filled with joy and love! I loved Mary Tyler Moore! Such good shows back then, wish we had some good shows again. I always enjoy these posts!!! HAPPY BIRTHDAY to a fellow July baby:) Mine was earlier this month and my mother turned 90 this week. Guess some good people were born in July!!! I always watch MTM. Even though I am happily married, I have often wondered what it would have been like to be a single girl living on her own in a big city. That had been my plans but....LOVE won out!!! Happy birthday and I hope your big day will be perfectly wonderful. I always enjoyed the MTM show. I rarely watch any TV, it seems like a terrible waste of time. Happy Birthday Lea!! You are as pretty as MTM could ever be. So enjoyed this, CiCi, I also was a fan of the Mary Tyler Moore show! Like you it is a shame we don't have comedy shows around like this anymore. Happy belated Birthday, may you continue to enjoy and have fun. Thank you for your sweet thoughts and prayers, I am now home and doing well.